Since January is coming to a close, I decided it would be a great time to review the goals I had set for myself for the year. Successes are in blue, failures in red, and in-between is in purple (makes sense. I had some trouble with the colors so if they aren't quite right, please bear with me!) I've tossed in some pictures from my phone over the past month for fun. Exercise (basically, just be more active) - FAIL! Eat right/better (make better choices in regards to food) - I wouldn't say this has been a success or a failure. I'm definitely more conscious of what I eat and feel the guilt when I know I did wrong. However, I haven't made the best choices throughout the month. Read more books/watch less TV (I'd like to read at least two books a month, however that all depends on the length of the book) - We're doing okay at this. I have noticed the TV is on less often. However, I still haven't finished a book this month. I'm trying to keep in mind that the book I'm reading is over 1400 pages long. Perspective. Make a real effort to keep the house clean - I've done much better this month than in the past. Granted there have been a few stumbling blocks, but it's been better. Discover new music (I've been stuck in a real rut with music lately and have been listening to the same bands for years with no real additions to my playlists) - I started out pretty strong on this one at the beginning of the month and played around with Pandora some. I already knew I would probably like Mumford & Sons, but also found that Florence and the Machine are cool. In addition, since I am a fan of more comedic music, I opened my ears to some Richard Cheese and Weird Al. I know it's not much, but it's a start for sure. Grow some plants inside and out (I'd like to have some more greenery in the house but I'm really awful at keeping them alive. I'd also like to make another stab at growing some fruits, vegetables, and herbs. I'm going to need a lot of luck with this one.) - FAIL! I haven't bought a single plant. I have, however, kept the two succulents in the kitchen window alive (so far). Make my visions of my dream house and this house co-exist (basically, start decorating this house the way I envision my dream house being decorated.) - FAIL! We've done no home improvements at all this month. Have a yard sale (possibly organize a neighborhood one) - I do need to begin to get focused on this soon. Take better care of my face and skin - FAIL! I did buy a few new products and price a few more that I want, I just haven't broken down and gotten them or used the ones that I have consistently. Go to the doctor/dentist (I've been really bad about this the last few years) - FAIL! Make a real effort with my blog (I know what this means and it's just too hard to explain other than to just make an effort) - FAIL! With the computer issues I had this month, it really hasn't been my fault, but it also just hasn't happened. Include more tutorials on the blog - FAIL! 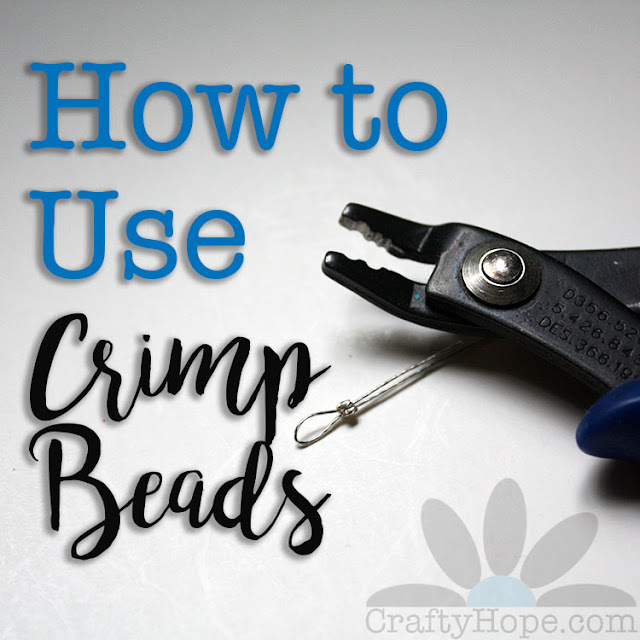 Keep the craft room more organized - I've done a relatively good job this month of putting back materials I use rather than leaving them strewn all over the place! Discover my passion (I've been struggling for a while to figure out what it is that I'm good at and enjoy doing and how to combine those. I really want to work with a few new mediums and try to find my voice in the cacophony of other artists.) - While my passion hasn't been 'discovered' yet, I did try my hand at a few new skills including etching and fold forming. Pat and I played around with some PMC too. I'm moving in the right direction I think! Get published (if not published then at least submit to a few publications) - FAIL! and not just because I haven't been published, but also because I have yet to submit. Create something everyday - FAIL! I started out the month really hot and heavy on this one, but got lazy toward the middle-end of the month when I didn't have a computer for a while and was just feeling low. 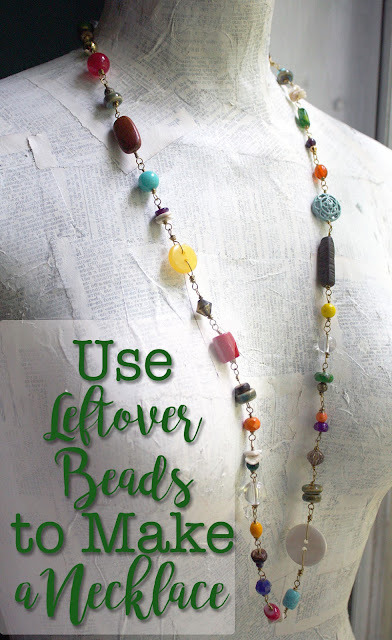 Explore other venue options for selling my jewelry (in the community)- FAIL! Figure out where my time is wasted and put an end to it - FAIL! I didn't even think about this goal all month! Find some confidence and exert it - FAIL! I felt a little walked on all month and allowed it to happen. Think outside of the box - This is a toughie. I might as well say I failed as nothing really stands out as an original venture, but I'm not usually an 'in the box' kinda girl either. Be Grateful*- FAIL! I made the one post here, but the lack of blogging opportunities caused a bit of lack of thankfulness. I'll definitely work on it! So that's it for January. I don't think I can make up all those fails in the few hours I have left in the month, but I can for sure enter February with some better ideas of how to use the month. 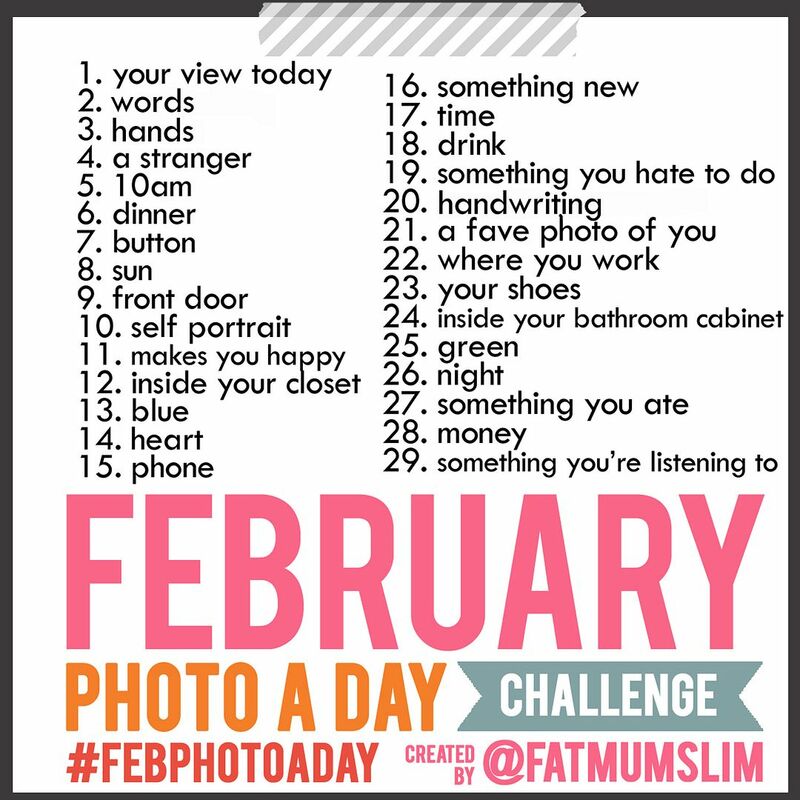 For one, I'm going to attempt the Photo-a-day Challenge from Fat Mum Slim. I do say attempt. . . Please go to her blog to get details if you want to participate. I saw January's challenge too late in the game, but was excited when I saw she was doing a February one as well so I'm totally in!! I think I've gone on long enough, but to close this post, I want to share a picture I found on my phone. This is what I'm going to do to February! That is some list, Hope! I, too could definately make something as extensive...but I fear the fright of something so large could end in failure. For me, that would be quite daunting. I wish you more luck for next month. Thanks for the Daily Feb photo link....might just do that! Wow! You set yourself some mega goals here. I think some of them sound like really long term things so I hope you're not feeling too down that you've red penned them! You've achieved such a lot. I don't think I could say the same if I wrote down a list of goals and aims for the year ahead! Hope, Look on the bright side it was not all a loss, you did do some of the things on your list and came to an understanding about yourself. Like you said there is always February! Like they always say in the Adam Sandler movies "You can do it!" you still have 11 months until the new year! you are doing great! no better laugh in the world than Richard Cheese singing "Baby Got Back"! Love that guy!!! I think you are doing pretty good. It's too early to call things a FAIL. There's still 11 months left. You got some things done; keep pecking away on the awesome list. I am curious though...what are you reading that is 1400 pages? Wow!